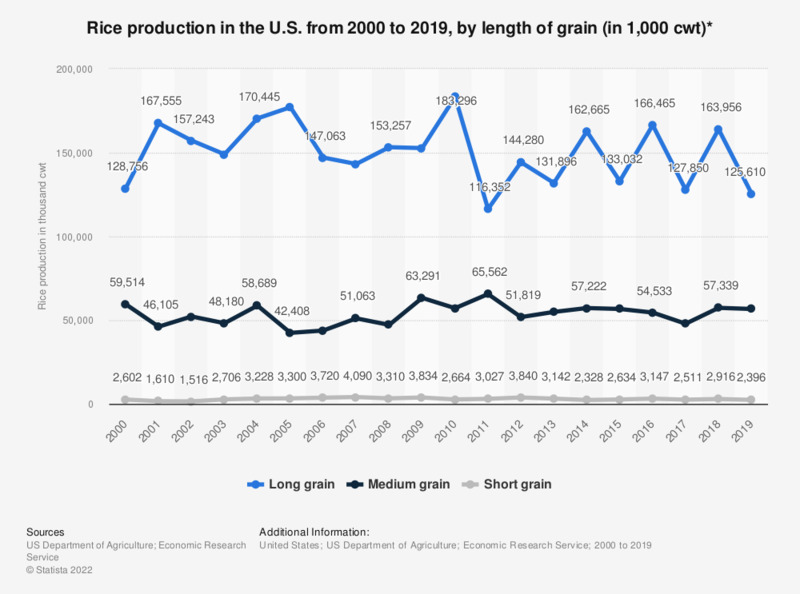 This statistic shows the rice production in the United States, from 2000 to 2017, by length of grain. According to the report, approximately 2.5 million cwt of short grain rice was produced in the U.S. in 2017. * cwt = centum weight is defined as 100 lb, that is approximately 45.4 kg.